Python past, present and future, Django 1.11b1, Docker with Python tricks and much more. 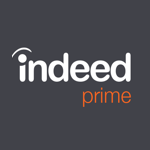 Indeed Prime: Apply to 100 top tech companies with 1 simple application. Free for job seekers. Python past, present, and future with Guido van Rossum. Django 1.11 beta 1 is out! Check it out, and note a big change - the 1.11.x series will be the last to support Python 2. Also, 1.11x has python 3.6 support. In a hasteful move, microsoft removed Python to "meet deadlines" but we have been assured we will receive support in an upcoming update to visual studio. Is Type Tracing for Python useful? Some experiments. Securitybot is an open-source implementation of a distributed alerting chat bot. Distributed alerting improves the monitoring efficiency of your security team and can help you catch security incidents faster and more efficiently. Universal Radio Hacker: investigate wireless protocols like a boss. Create human-readable exception narrations for your libraries and end-user programs. CSV processing is super useful. Getting started with Python CSV processing for people who are actually new to Python. This is great! A follow up to Part 1 where Ned was trying to get a certain exception to make tests skip in my test runner. This post looks at a different approach. Want dive into Seaborn, look no further for a light introduction. Ever wonder what other CIs were out there? Nice tutorial on how attribute access works in Python. I dont actually agree with this backend of choice, cool little hack though. Awesome tutorial and background on annotations Python.